CINCINNATI -- You knew it was a big deal Saturday morning in Riverside on Cincinnati's west side, where crews have been working like heck to make sure everything was ready. Why? 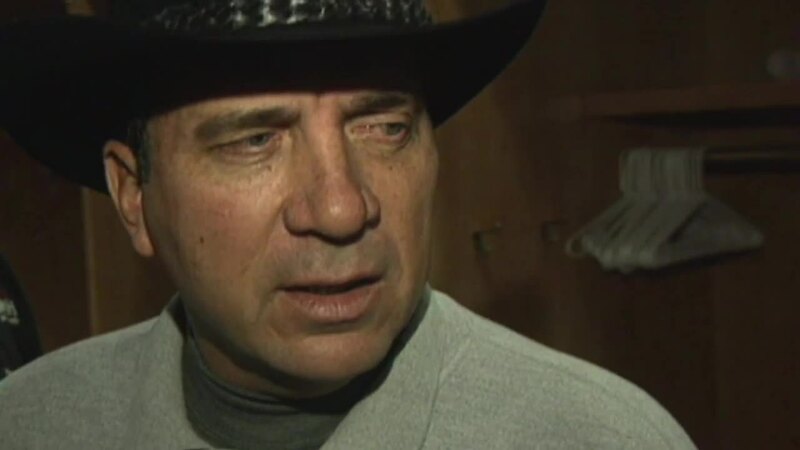 Because Hall of Famers Johnny Bench and Joe Morgan, two of the greatest of all Reds, were there. So was the team owner, Bob Castellini. The "big deal" was the dedication of a baseball field, though not for a slugger with big muscles or for a pitcher with a blazing fast ball or for a philanthropist with deep pockets. This field is named for a guy who lugged boxes and made the coffee and laced the gloves. His name was Bernie Stowe. Members of the Big Red Machine thought the world of him. "Bernie is like anybody else as far as being a hitter or a pitcher -- Bernie is the best at what he does," Pete Rose told me back in 1986. Stowe already had logged nearly 40 years of service with the Reds by that time. His job wasn't glamorous -- he was the Reds' equipment manager. He told us in spring training that his crew cleaned 500 towels and 70 uniforms each day. "The washer starts around 8:30 [a.m.] and doesn't quit until 7:30 at night," he said. Stowe knew exactly what was involved. He began as the Reds batboy in the late '40s. By 1958, he was running the clubhouse, making sure everything was in tip-top shape, making sure the players had the proper equipment to perform. But it was a lot more than just providing bats and balls: When the Reds got a new stadium in 2003, they named the clubhouse for Bernie. "Bernie Stowe is great because of the person that he is and the person that he's been since I've known him in 1967. That's never changed," Bench told me. 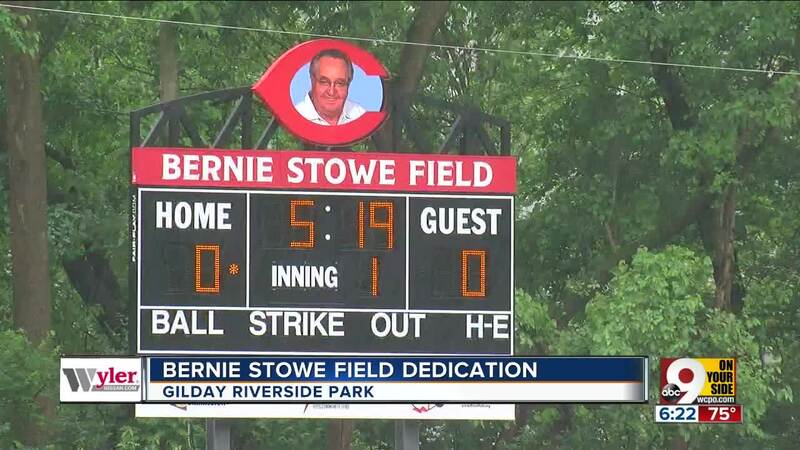 Stowe died in 2016, and there already were plans in place for the Reds Community Fund to renovate a field in his name. It's located in the Riverside neighborhood, not far from where he grew up and raised a family. At the end of Saturday's ceremony, Stowe's grandson threw the ceremonial first pitch to Bench. Bernie would have loved that.